Posted on Jan 8, 2013 by Appleton Downtown Inc.
Angels Forver / Windows of Light welcomes everyone celebrating their birthdays to shop and save in their store at 310 W. College Ave. in 2013! Happy January Birthday Appleton Downtown shoppers! You and your friends receive 20% off all in store merchandise the week of your birthday when you come in to Angels Forever / Windows of light ! One glance at the deep red seeds nestled inside of a pomegranate fruit explains why the word "garnet" comes from the Latin word "granatus," meaning "grain" or "seed." This name was given to the garnet because of its close resemblance to the succulent pomegranate seed. rough the dark and stormy nights of God's wrath. A Greek myth linked to the garnet is the story of the young goddess of sunshine, Persephone, who was abducted by Hades, god of the underworld. Hades eventually released Persephone, but not before he offered her some pomegranate seeds, which guaranteed her return to him. Garnet is found in Africa, Australia, India, Russia, South America; and in the United States, in Arizona and Idaho. 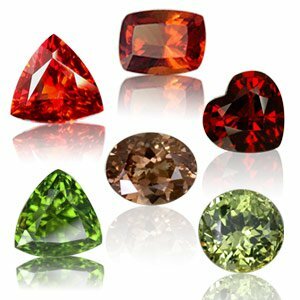 Although most commonly known as a red gemstone, the garnet comes in a variety of other hues, including muted yellows, vibrant oranges, rosy pinks, lime greens, and violets—a virtual bouquet of colors. This diversity is due to unique combinations of elements within each particular gem, such as iron, calcium, and manganese. 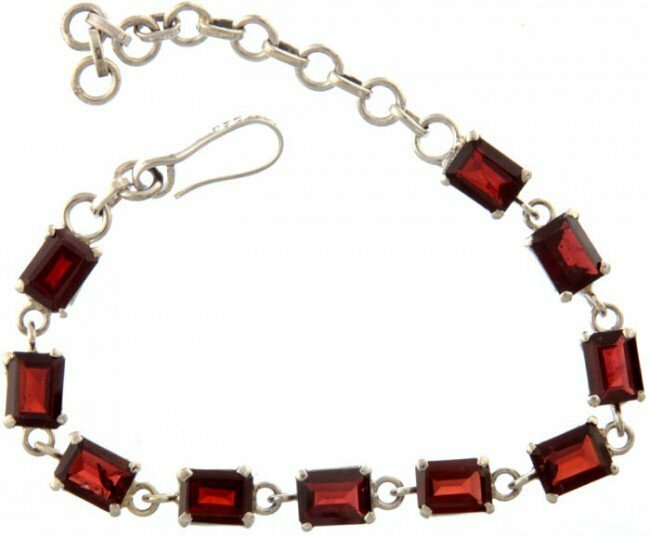 Garnet is the “Stone of Commitment”; to purpose, others, and to oneself. Its loving powers reflect devotion. It is helpful in moods of abandonment. It enhances ones internal fire, bringing creativity to implementation. It provides for purification, cleansing and elimination of that which is in disorder. It has been used for treating disorders of the spine, bone, heart, lungs and blood.